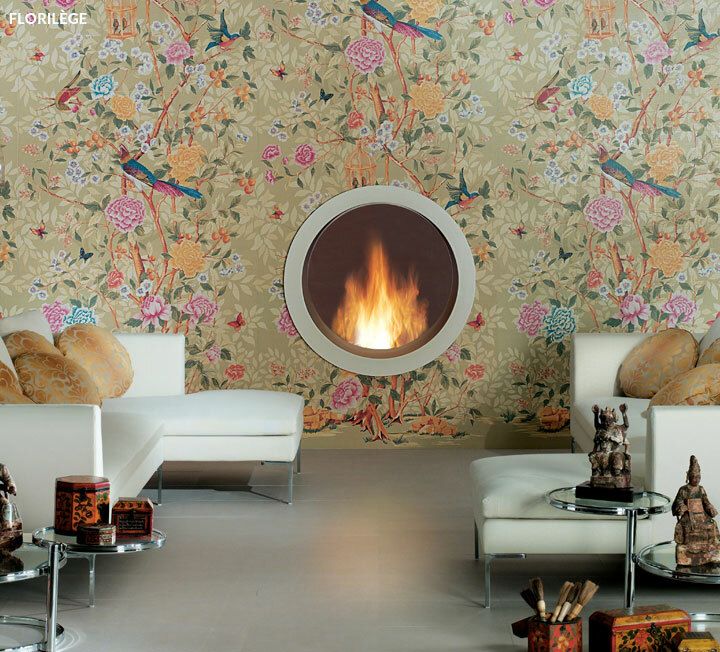 Novoceram Art collection offers a range of ceramic wallpaper inspired by the finest interior design trends. 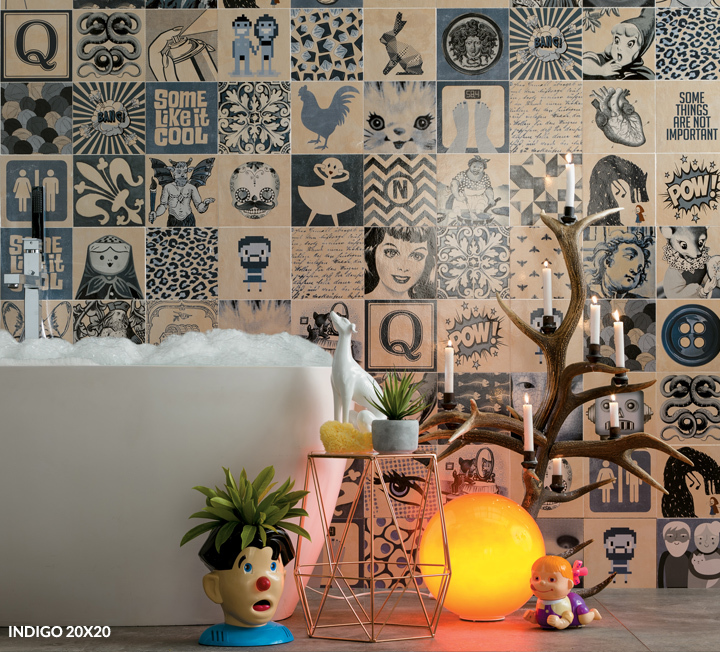 Ceramic wallpaper offers all the advantage of being able to be used without problems even in situations that prove difficult for traditional wallpaper, such as bathrooms, spas and all environments of intensive exposure to water. 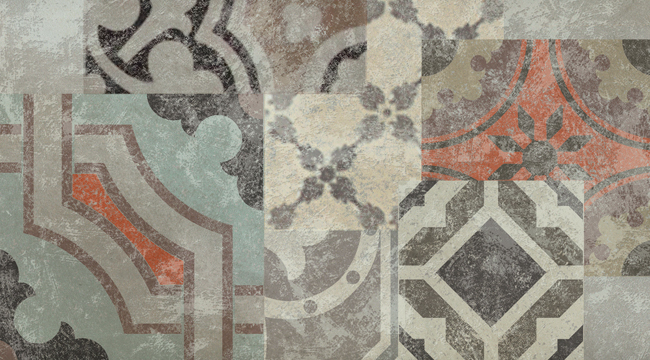 Ceramic wallpapers by Novoceram give ambiances an elegant and remarkably refined character. 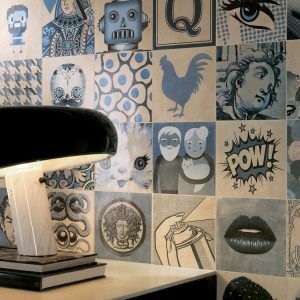 Novoceram ceramic wallpapers are compositions made of 2, 12 and 24 pieces which correspond to a unit module of the pattern and can be installed in an infinite amount of patterns, just like any traditional wallpaper. 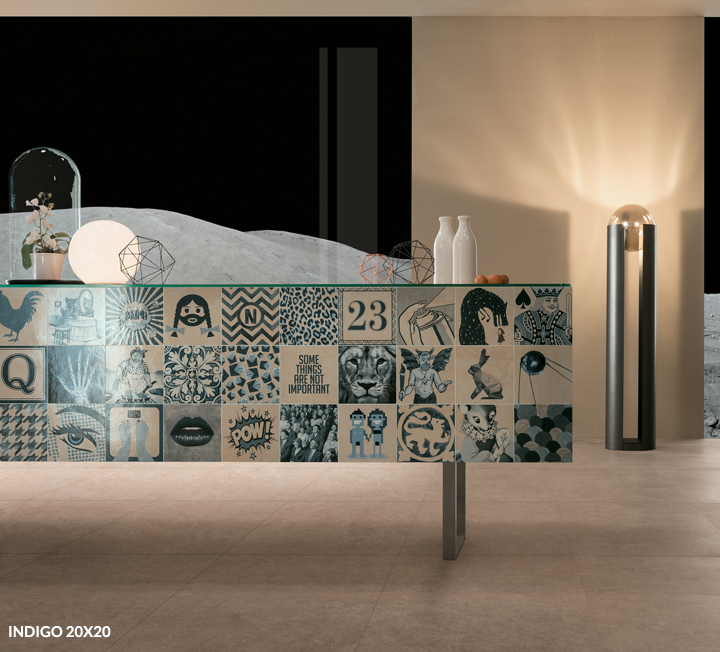 The Tapis inset of the Aquarium collection is a decorative model on its own right that can be used as normal ceramic backdrop and foundation. 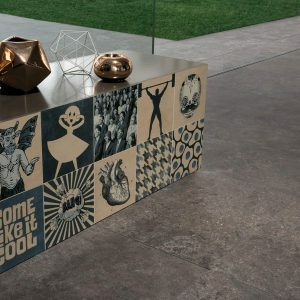 Novoceram wallpaper effect ceramic tiles come in different types and different aesthetics, ranging from contemporary graphic motifs to the most important themes of the past, but revisited with a modern twist thanks to innovative materials and colors. 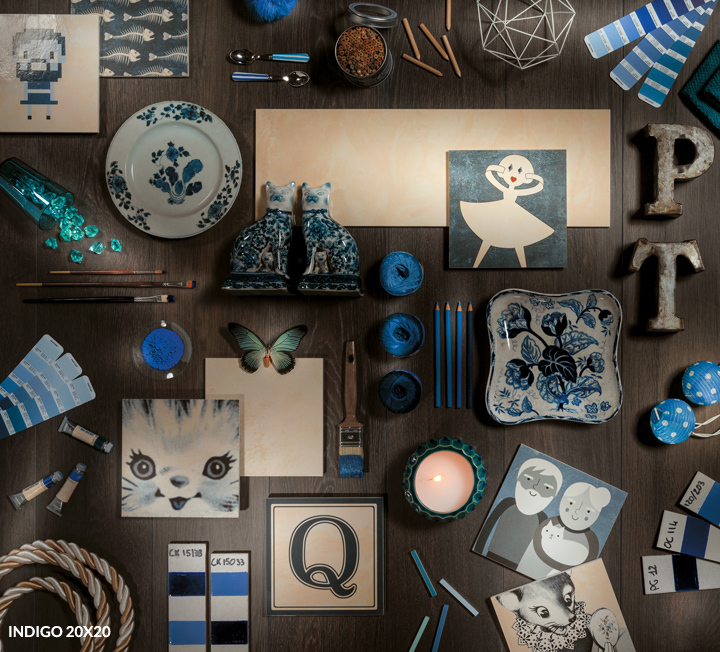 TrèsJouy is inspired by the prints on fabric of the famous Toile de Jouy, some of the most famous decorative motifs of the French textile tradition, characterized by pastoral scenes, single-colored printed onto a bright background: an antique tradition still thriving today, that the artisans of the town of Jouy have been carrying forward since the XVIII century. 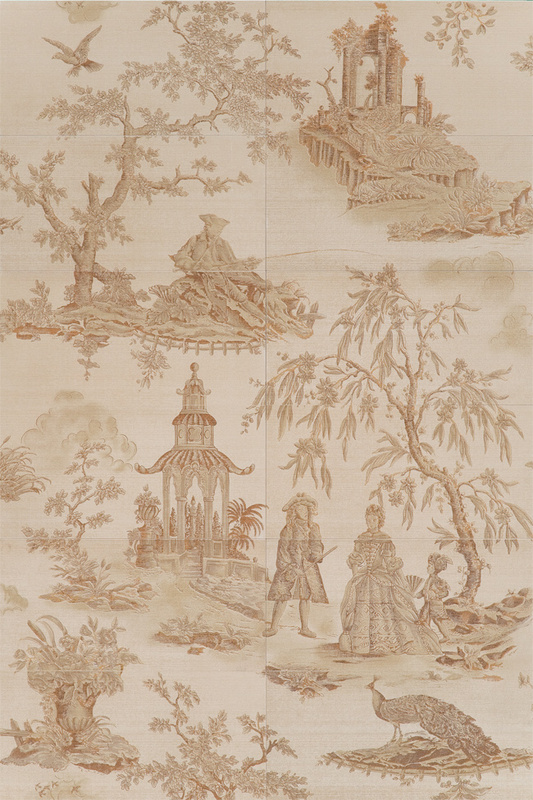 Florilège reinterprets, in modern way, the sumptuous decoration of the eighteenth-century this is chinoiserie that brought the oriental themes into Europe, with their leaf interlacing, flowers and exotic birds. 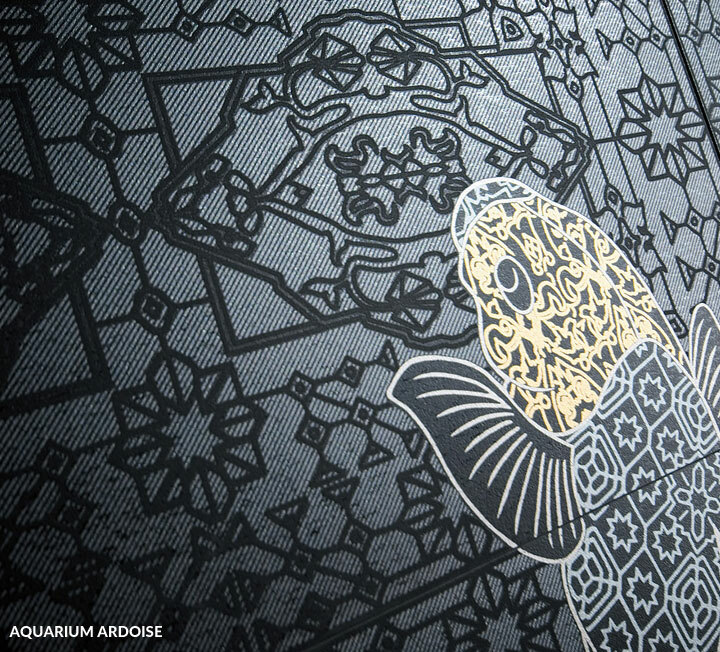 Aquarium is an extremely flexible ceramic wallpaper that combines an arabesque subject from the foundation hue to a shade upon shade texture with a subject dominated by an auspicious Koi carp made precious by metal reflections. 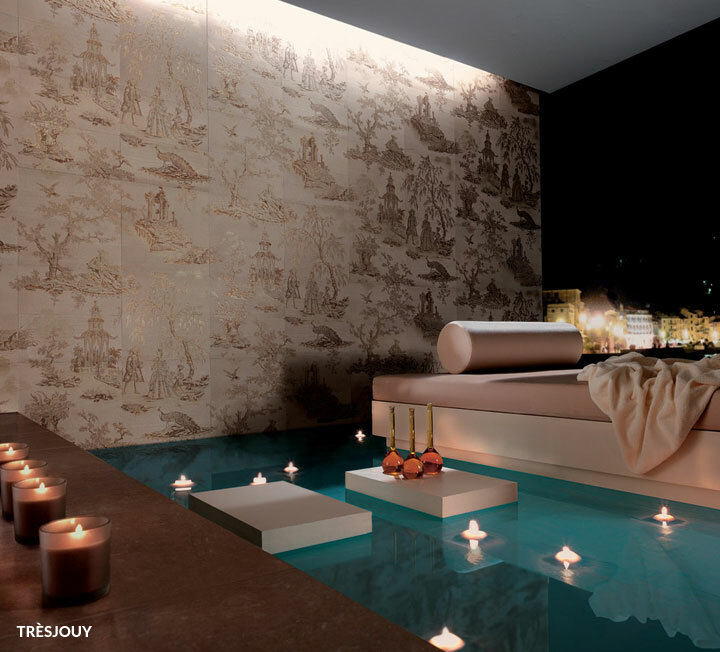 The ceramic wallpaper does not absorb water, humidity or steam. 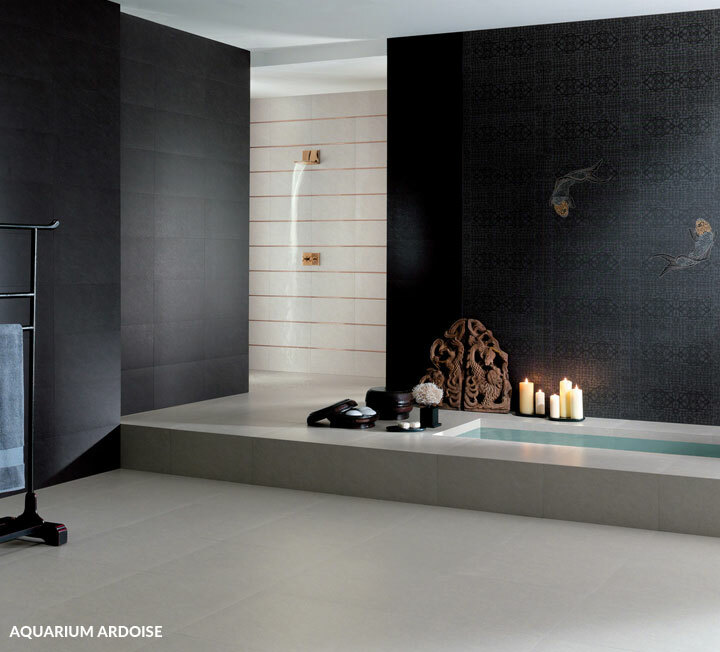 The wallpaper-effect ceramic can therefore be installed in the kitchen, bathroom or in a spa. 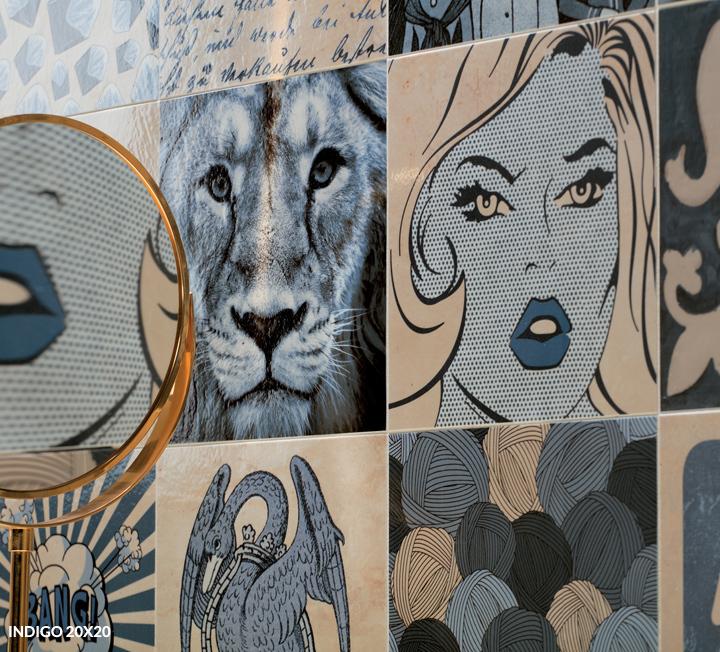 The wallpaper-effect ceramic panels are modular and can be installed in endless combinations. 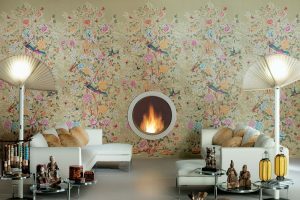 The luxurious wallpaper-effect collections by Novoceram combine the evergreen elegance of tapestry with the technical advantages of ceramics. 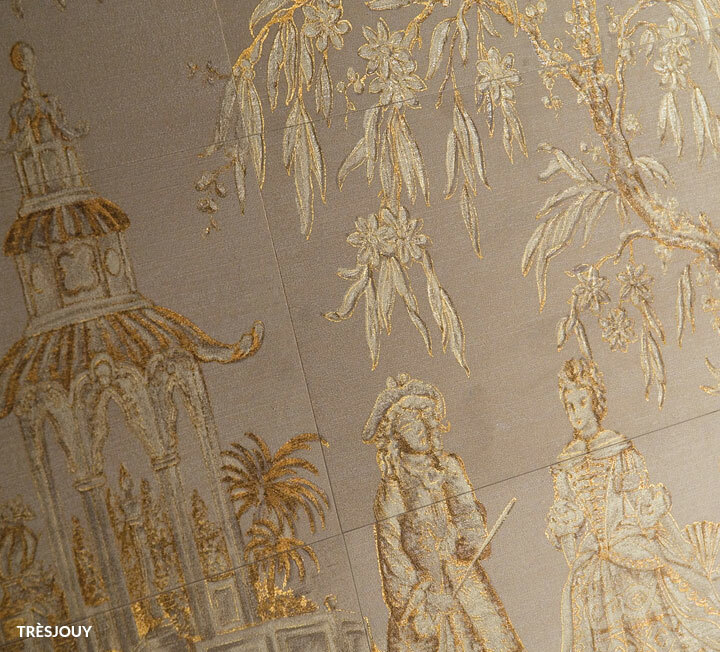 The wallpaper-effect ceramics offers a stunning tactile feeling that recalls the silk-like softness of fabric. 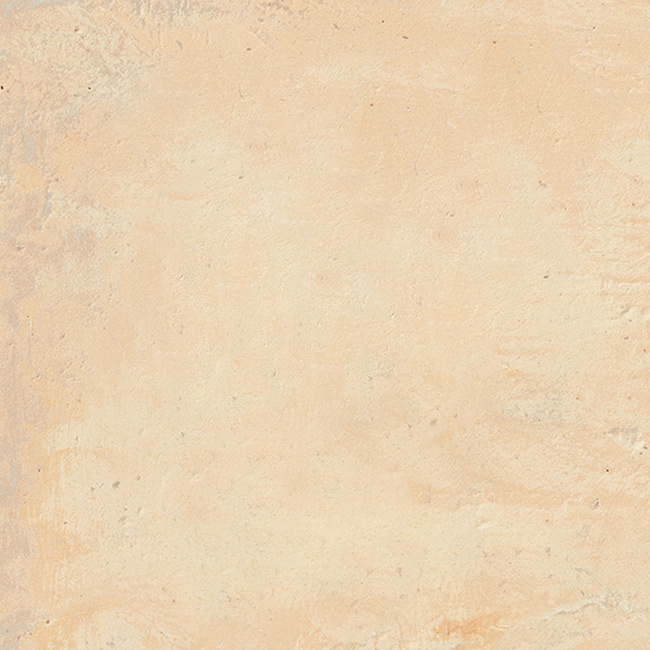 Even if the aesthetic effect is that of very precious and delicate wallpaper, ceramic is an extremely resistant inert material that does not undergo change or deterioration over time. 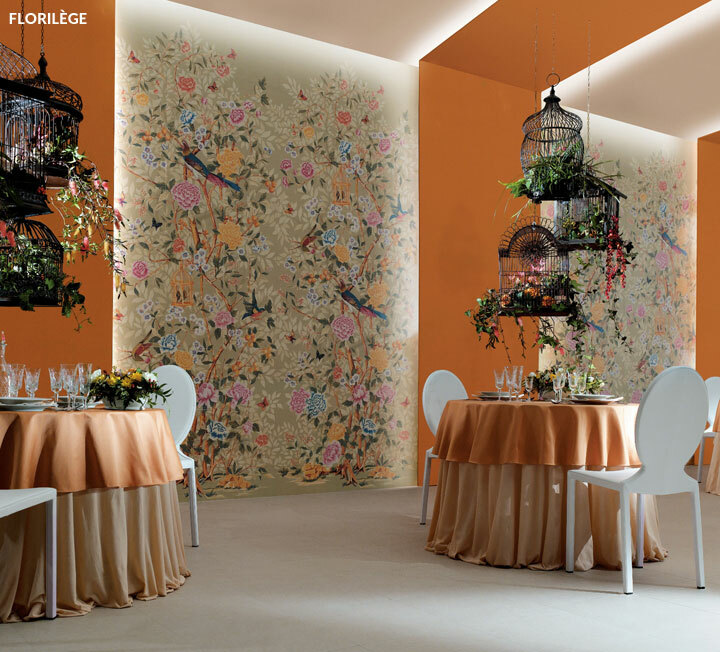 Ceramic wallpaper effect does not change over time: it will not lighten, it does not darken and will not lose its color or its finish. 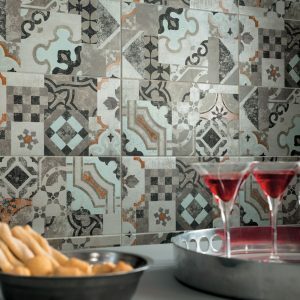 Quel que soit le choix du carrelage, le nettoyage quotidien de votre céramique s’effectuera simplement avec un chiffon et un peu d’eau chaude. 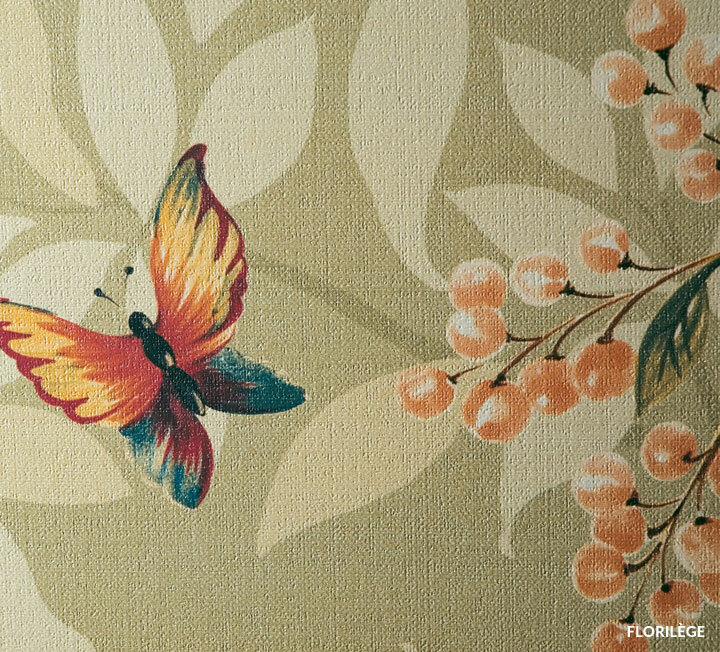 The wallpaper-effect ceramic Ceramics wallpaper effect is a hygienic material that does not promote the growth of bacteria. Non-perishable, waterproof, non-absorbent, insulating, easy to clean and disinfect.